1. 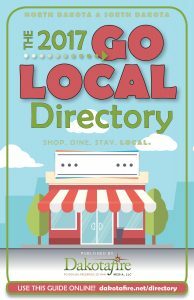 The directory is a new way to get your business “out there”! 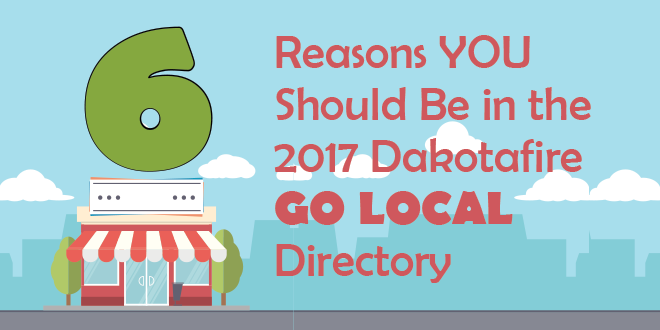 It’s intended especially for LOCAL business owners—just like you! More shoppers want to buy local. We’ll help them find your business. 2. We all do better when we work together. 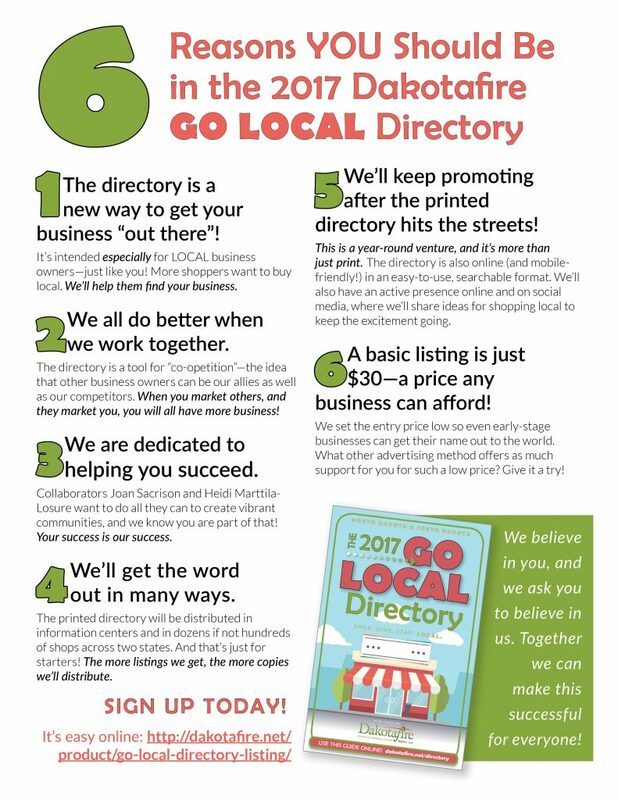 The directory is a tool for “co-opetition”—the idea that other business owners can be our allies as well as our competitors. When you market others, and they market you, you will all have more business! 3. We are dedicated to helping you succeed. Collaborators Joan Sacrison and Heidi Marttila-Losure want to do all they can to create vibrant communities, and we know you are part of that! Your success is our success. 4. We’ll get the word out in many ways. The printed directory will be distributed in information centers and in dozens if not hundreds of shops across two states. And that’s just for starters! The more listings we get, the more copies we’ll distribute. 5. We’ll keep promoting after the printed directory hits the streets! This is a year-round venture, and it’s more than just print. The directory is also online (and mobile-friendly!) in an easy-to-use, searchable format. (Watch for an even better design for the online directory in May!) We’ll also have an active presence online and on social media, where we’ll share ideas for shopping local to keep the excitement going. 6. A basic listing is just $30—a price any business can afford! We set the entry price low so even early-stage businesses can get their name out to the world. What other advertising method offers as much support for you for such a low price? Give it a try! make this successful for everyone! YES, I WANT TO BUY A LISTING! I want more information about display advertising!